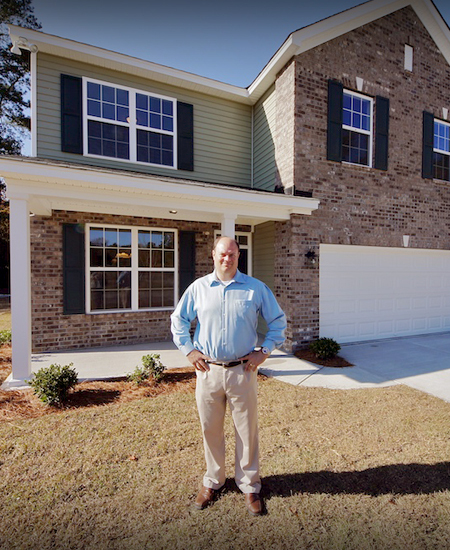 Regional Homebuilding Company based in Charleston, SC that delivers quality, affordable and value oriented homes that are Energy Star Certified. In the thirty years that Jeff Meyer has been in the building industry he has learned many things, but none more important than the realization that everything revolves around one person – the home buyer. That makes J. Meyer Homes exceptional, and the home buying experience they provide unique. Couple the background gained by working with a who’s who of the national building industry, with the specialized knowledge achieved by completion of an MBA, and Jeff Meyer brings an unusual compliment of qualifications to your home purchase. Experience, knowledge, efficiency and flexibility combine to create homes of exceptional value ideally suited to the needs of each family that selects a J. Meyer Home. There are good reasons why Jeff was selected as Builder of the Year. Don’t settle for something less when you can settle for more.